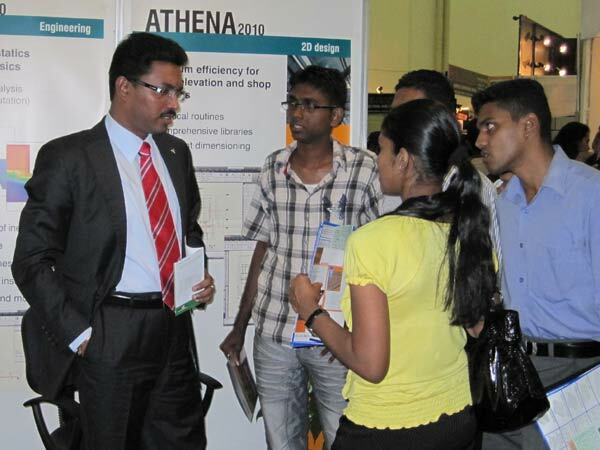 ‘Architects 2010′, is the most sought exhibition of the construction trade in Sri Lanka and was inaugurated on February 17 2010, by the Minister of Housing Development Mr.Geethanjana Gunawardena. 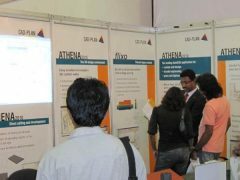 The exhibition, since its inception in 1982, has grown exponentially to become the most prominent exhibition of the construction industry in Sri Lanka. The exhibition opened to the public from February 18th, 2010 onwards and was held at the premises of the Sirimavo Bandaranayake Hall in BMICH, Colombo. It was a proud moment for CAD-PLAN when the Minister of Housing Development, Mr.Geethanjana Gunawardena visited our stall and had spent few moments to learn the software portfolio offerings of CAD-PLAN. 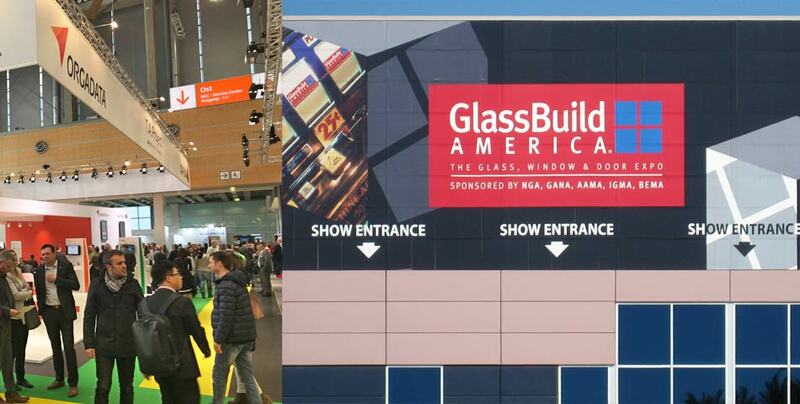 This year, more than 300 stalls were in display while over 200 companies linked to the AEC industry featured their latest products and services at the trade exhibition. Further, the Architects’ work exhibition, which is held simultaneously with the trade exhibition featured the work of more than 80 architects. Moreover, the student exhibition displaying the work of students from two schools of architecture; the Faculty of Architecture in the University of Moratuwa and the City School of Architecture, Colombo, is part of the highlights at the exhibition. 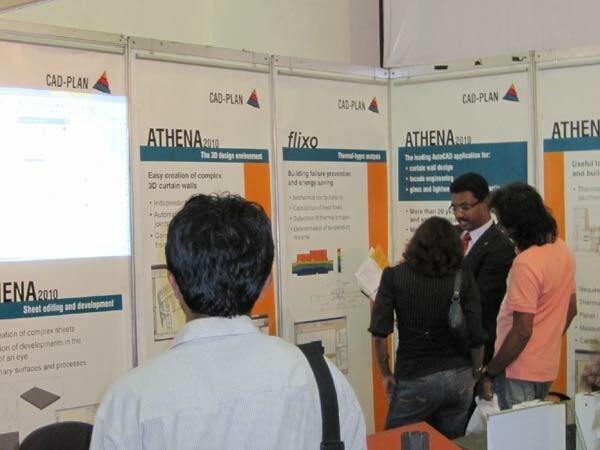 CAD-PLAN donated ATHENA 2010 licenses to both the architectural institutions, University of Moratuwa and the City School of Architecture, Colombo to spread the word “ATHENA, the most powerful & inevitable software for the façade engineering construction industry”. 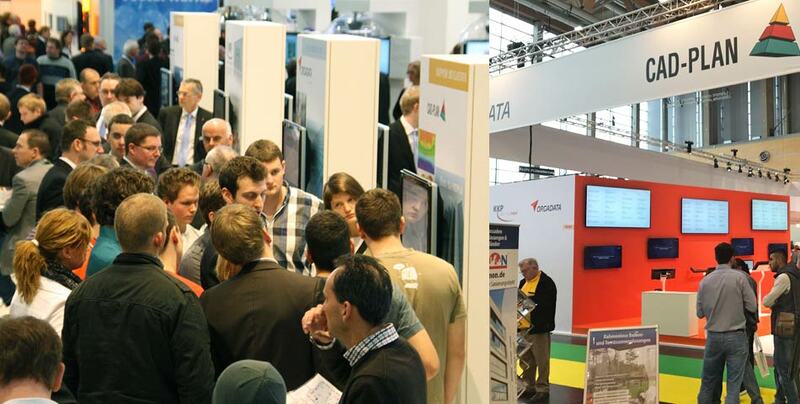 The Architects 2010 attracted nearly 200,000 visitors asserting demand of the latest technological advancements in the AEC industry. The exhibition drew curtains at 10 p.m. on February 21, 2010. ‘Architects 2010 is the best platform through which the latest technological advancements in facade engineering can be best promoted to the AEC industry’, added Mr.Tamilvaanan Ramalingam, M.S, M.B.A, CAD-PLAN Executive Director – ME & India. 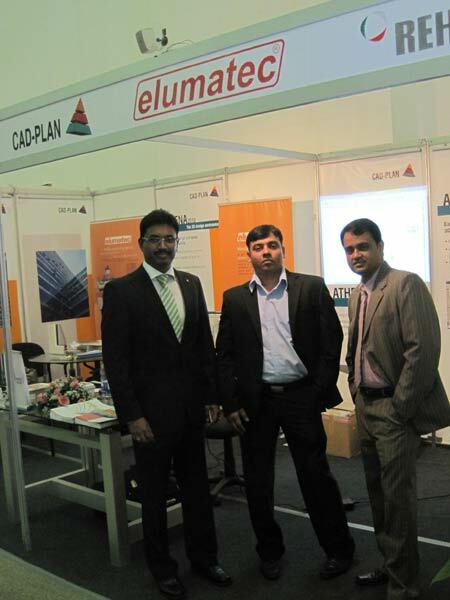 For CAD-PLAN, it was an overwhelming success since couple of deals had been finalised during the exhibition. 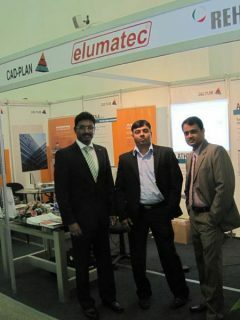 The warmth reception of the Sri Lankan people and the business success of CAD-PLAN’s participation in Architects 2010 urges us to participate in Architects 2011 too!